Operators can rely on the Nortel AccessNode Express to enhance network operations for customers at the core and edge with the inclusion of new intelligence and smart delivery. Manage and enhance your applications that range from 12 to 192 lines with a cost-effective platform supporting integrated switches, high-speed internet access, high-bandwidth services and robust OAM&P proficiencies. Make your selection even more cost-intelligent by working with Worldwide Supply to secure a certified, tested and approved refurbished AccessNode Express system today. 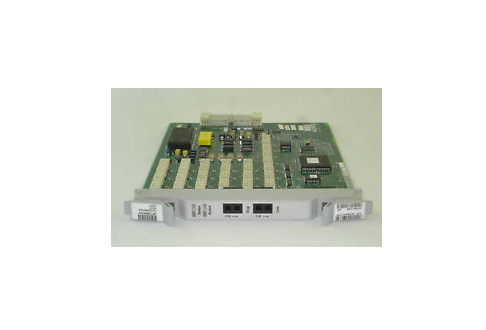 Nortel’s AccessNode Express is a GR-303 compliant system that operates with a variety of switches from different OEMs and integrates with many of today’s leading platforms as well as with past systems that still look for 56-kbps analog modem rates. Simplify provisioning and scale your network with a complete package that you can directly integrate and manage, with smart cost savings when you choose a used Nortel AccessNode Express. Refurbished AccessNode Express systems from Worldwide Supply allow you to extend existing AccessNode capabilities via 24, 48 and 96-line increments. These are ideal for mid-sized and smaller applications — particularly on the edge of your network. SONET model support includes DS1, DS3, STS-1 and native LAN interfaces as well as options for DB-25 connectors on 48line voice modules. Wall mounting options enable the mid-sized form factor to operate in most deployments and locations, while the system has minimal power requirements and robust networking support. Worldwide Supply stocks multiple refurbished and used Nortel AccessNode Express systems so you can access a portfolio that meets specific needs of rural areas, small businesses, MDUs, POTS and even support for larger deployments like MDCs and four-wire special services, plus fractional T1 deployments.